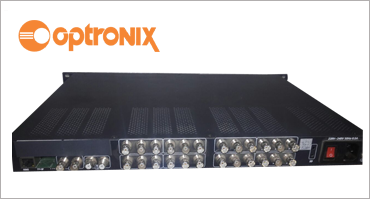 NDS3542 encoder & modulator is a device integrated with MPEG2 encoding and DVB-T modulation to convert SD AV signals to DVB-T RF out in the frequency range of 30~960MHz. It has equipped with 4 channels CVBS input and 1ASI input. The signals source could be from satellite receivers, closed-circuit television cameras, Blue-ray players, and antenna etc. 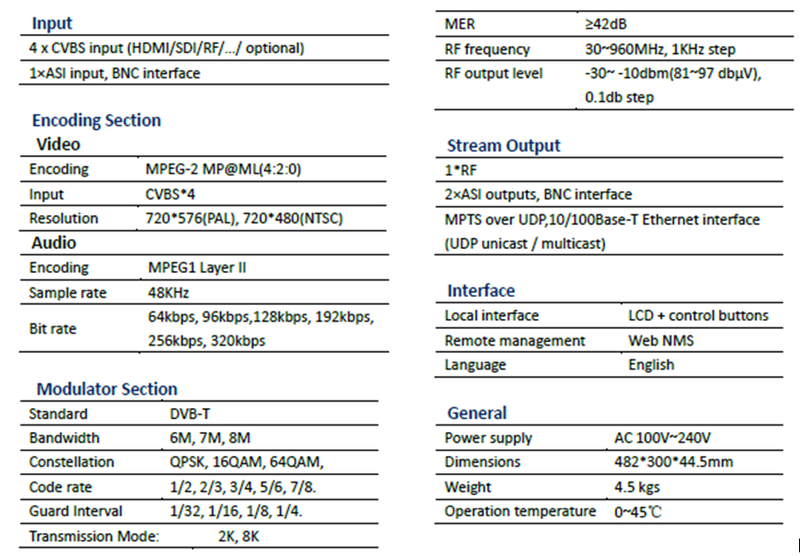 its output signal is to be received by a DVB-T standard TV, DVB-T STB and etc. The device can be used in public places such as metro, market hall, theatre, hotels, resorts, etc for advertising. It also can be used for monitoring, training and educating in company, schools, campuses, hospital… Besides, it’s a good choice for bars to offer HD sports channels, for VIP entertainment channels, and more.